If you’ve never yarn bombed before, this is a perfect way to start! And if you’re a pro, it’s a great chance do something epic because we have permission to yarn bomb almost anything! When the local Public Works department saw an article about my pay phone yarn bomb, they invited me to help beautify the city on clean up day with more yarn bombs. Now I’m inviting you to yarn bomb with me, either in person or by mail. On Saturday, April 20th at 8 am, hundreds of kids and adults will meet in Central Park to converge on Downtown San Mateo to paint, yarn bomb, plant flowers, scrub, and rescue litter. In just 3 hours, we’ll make it look like we just installed candy stores and smell-o-vision. Oh yeah! At 11, we’ll shake off our gloves, wipe our brows, and head over to Central Park for a big party with food, drinks, and music. How awesome is San Mateo to have a spring cleaning party? I love my town! Here are some of the things we’ll yarn bomb on clean up day. It’s practically anything goes, so if you have an idea, throw it out there. I especially need feet for mail boxes and long rectangles for bike racks. Feet can be any size attached to an 8″ flat square to wrap like a sock, and bike racks segments are 8″ wide and any length. Leave a comment below or email me at knitsforlife at gmail dot com to participate in person or by mail. Re-blog this post on WordPress, Blogger, or Tumblr. 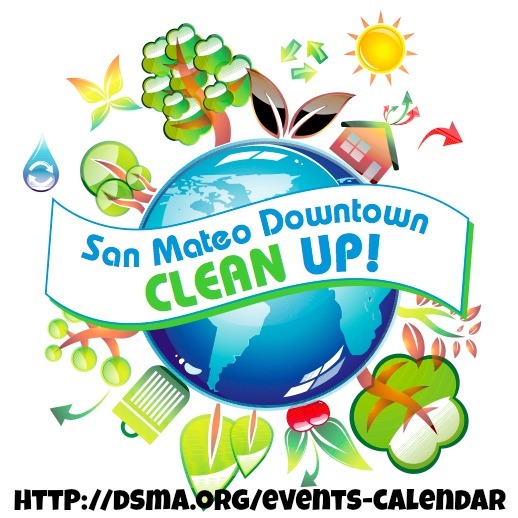 Download the Clean Up Day flyer here and post it in the area. Saw your beautiful yarn art in San Mateo while going into work today! Love it so much, it was the first time I had seen it done in person and goodness is it delightful! Is there an account we can send pictures to so we can share what we saw? Outstanding yarnbombing! Made my day coming into work, as well as all my non-knitter coworkers. Love the tubesocks. Thanks, Claire! Where do you work downtown? It’s funny how people are pulling up the socks and playing with them. Sooo happy you did this! Puts a smile on my face everyday. There are a bunch on B Street … though my faves are the snake parking meter and the mailbox monster. Thanks, Steve! I’m so glad you are enjoying them. Those are my faves too, along with the lollipop.